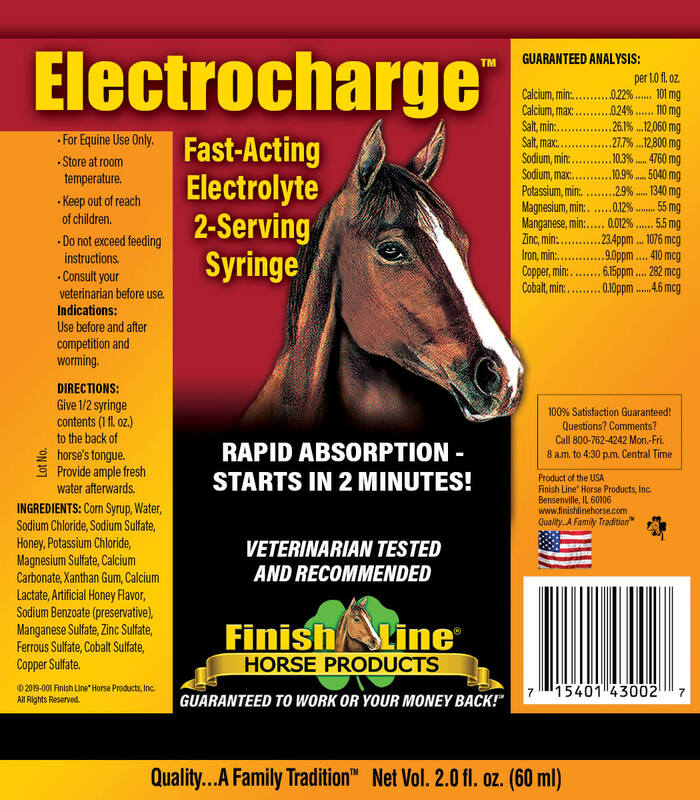 Help your horse recover from those big events faster and better and get your horse back to drinking fast! Formulated for rapid absorption (starts in two minutes), Electrocharge™ replaces electrolytes in the same proportion as your horse loses in sweat. Electrolyte salts and minerals are important for healthy hydration, muscle function and the nervous system. This 2-dose syringe is ideal for racing, barrel racers, endurance, three-day eventing and other heavy training disciplines. 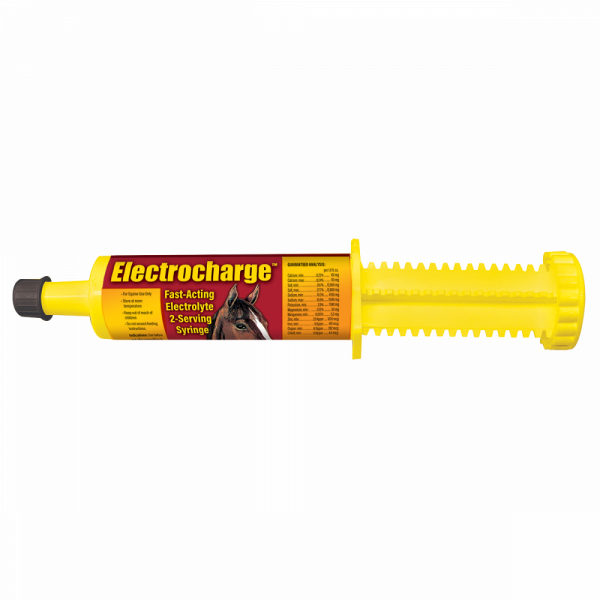 Put some charge in your barn!